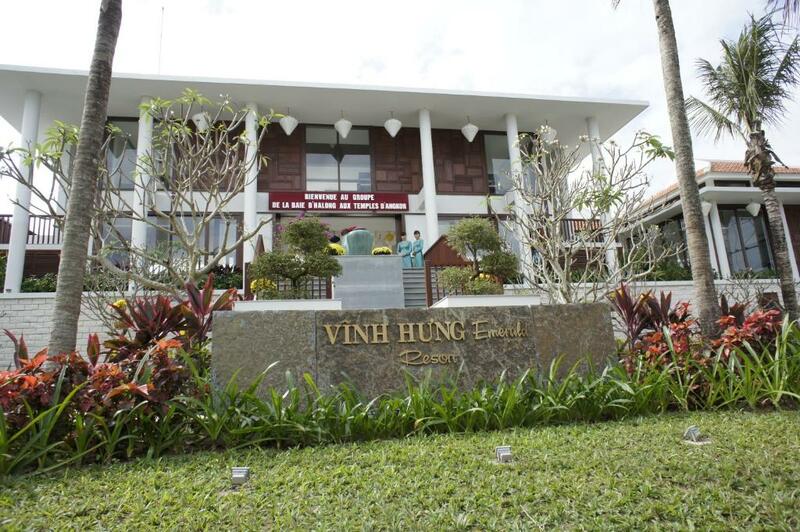 Lock in a great price for Vinh Hung Emerald Resort – rated 8.5 by recent guests! Very good location. 5 minutes walk to a night market and old town. Bike rental is available for 1US$ for a day right in front of the hotel. 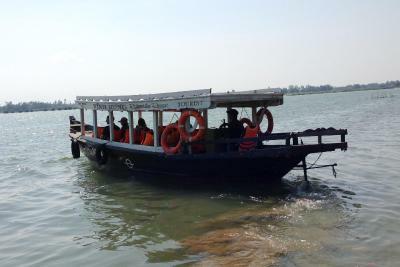 Hotel offers a free boat tour that allows you to enjoy seeing the old town from the river. Staffs are very helpful. 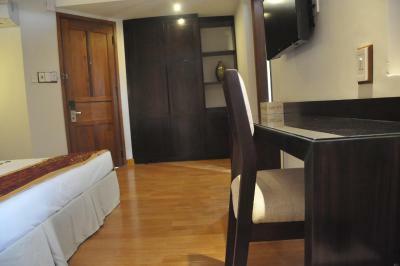 The location is fantastic, near the river and just a 5 minute stroll to old town. 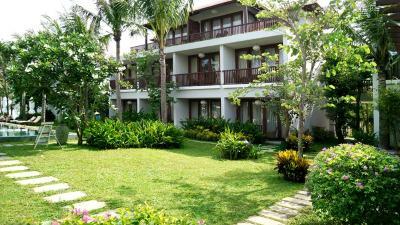 The staff are some of the loveliest and friendliest hotel/resort staff we’ve had the pleasure of dealing with. Good location and breakfast. Very friendly staff. Easy to rent a bike for exploring the town. Nice swimming pool and free street food at 4PM every day. We loved the location so close to the night markets and buzz of the Old Town area, great to get out and wander. We were upgraded for the first 3 nights, beautiful room with a lovely balcony to relax on. We extended our stay and moved rooms, still very comfortable but could do with a bit of TLC to freshen it up. 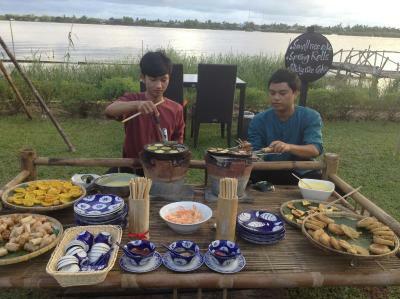 Afternoon street food by the river is very pleasant, and pool area not too crowded so no issues getting a lounge. Breakfast is not bad, loved the iced coffees each morning 😁 Bike hire is easily achieved by going across the road ( see Mrs. Cuong and her family at their little shop ) so very easy to explore further to Anh Bang Beach, more of the town and the other islands. Pool and Gardens are wonderful . Very nice mojito at the Pool bar ! 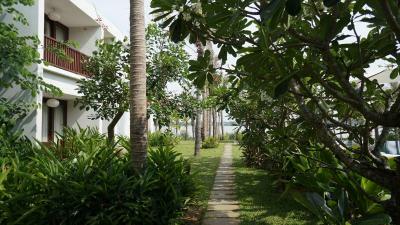 Our experience at Ving Hung Emerald Resort was great, I loved the gardens and swimming pool. We had a suite and the balcony/patio was really nice. 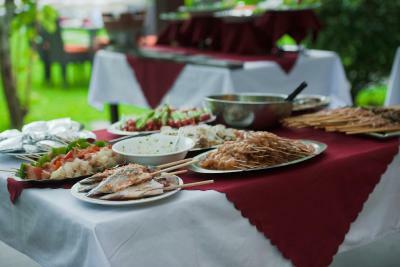 The snacks in the garden at 3:00pm were a nice touch and a great opportunity to try local food and speak to other people at the hotel. 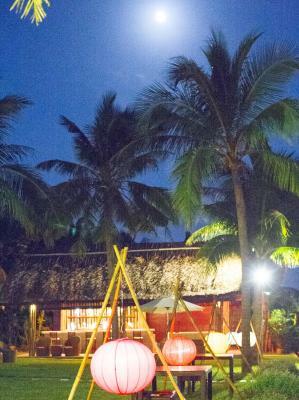 We had an unfortunate experience in Hoi An in that my husband had an accident and ended up in hospital for a week. The staff at the hotel were all very concerned and helpful, they drove me to the hospital and even visited him in hospital on 2 separate occasions. 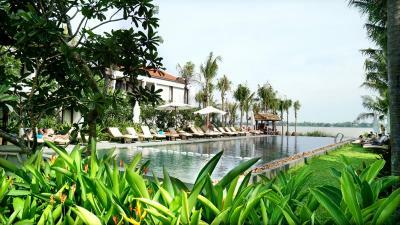 Vinh Hung Emerald Resort This rating is a reflection of how the property compares to the industry standard when it comes to price, facilities and services available. It's based on a self-evaluation by the property. Use this rating to help choose your stay! 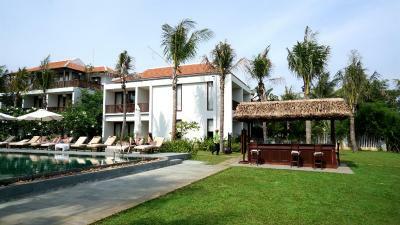 One of our top picks in Hoi An.Vinh Hung Emerald Resort is 1,000 feet from Hoi An Old Quarter. 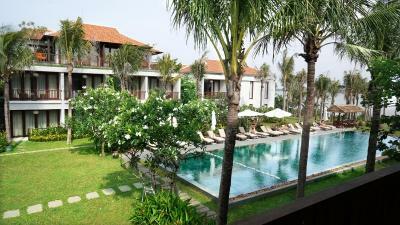 Offering rooms with free wired internet access, it also houses a large swimming pool for guests to lounge in. 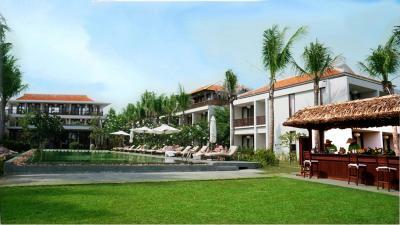 The resort is 650 feet from Hoi An Night Market and 3.7 mi from Cua Dai Beach. 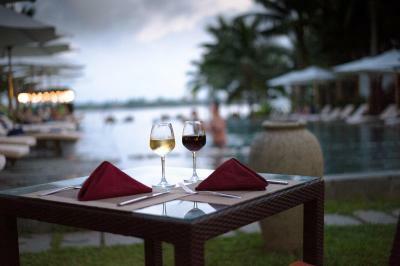 Da Nang International Airport is 19 mi away, while the majestic peaks of Marble Mountains are 16 mi away. 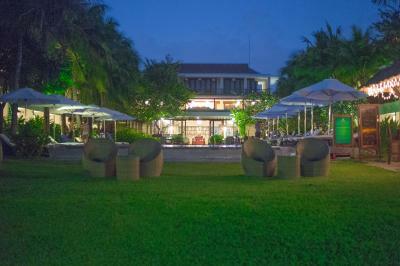 Fitted with wooden floors and a balcony, air-conditioned rooms are equipped with a flat-screen TV with cable channels, a seating area, and a mini-bar. 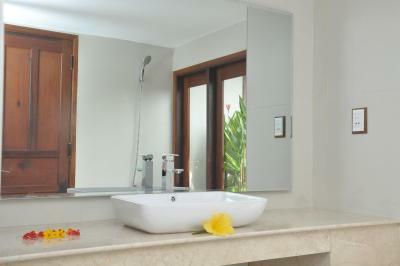 Private bathrooms include shower facilities and free toiletries with fluffy bathrobes. Guests can exercise at the fitness center. Staff at the 24-hour front desk can assist with laundry/ironing services and room service. Airport shuttle services are also available at a surcharge. 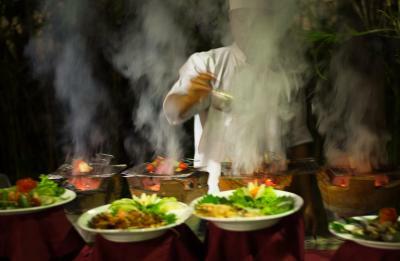 Emerald River Restaurant and Bar serves local and international cuisines as well as daily breakfast buffets. 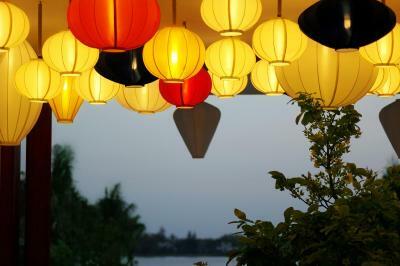 Minh An is a great choice for travelers interested in ambiance, city walks and old-town exploration. 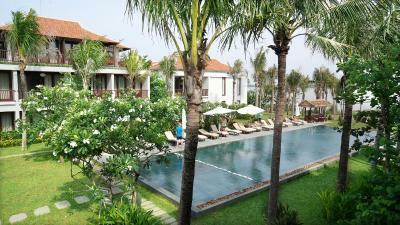 뀐 Located in the top-rated area in Hoi An, this property has an excellent location score of 9.2! When would you like to stay at Vinh Hung Emerald Resort? 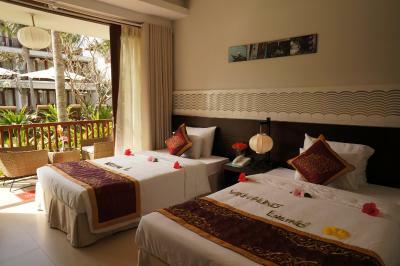 Offering pool views from its balcony, this air-conditioned room has a flat-screen TV with cable channels and a minibar. 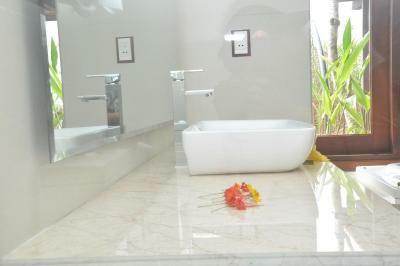 The private bathroom has either a shower or bathtub. 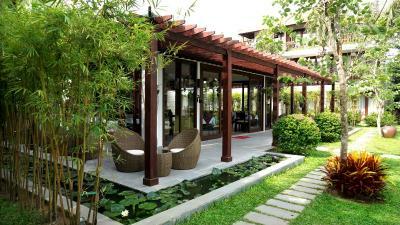 Offering river views from its balcony, this air-conditioned room has a flat-screen TV with cable channels and a minibar. The private bathroom has either a shower or bathtub. Offering views of the pool from its balcony, this spacious suite has a sitting area, a flat-screen cable TV and a minibar. The private bathroom has a bathtub, a bathrobe and free toiletries. 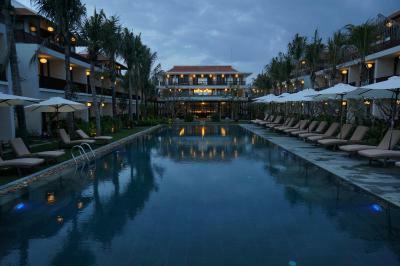 Set in the tranquil district of An Hoi, Vinh Hung Emerald Resort is located on the banks of the romantic Thu Bon River and within 10-minute walking distance to the ancient town of Hoi An. 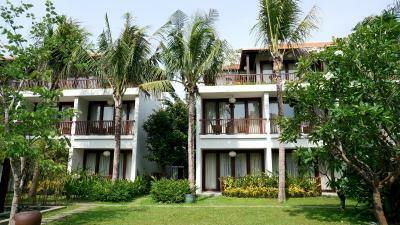 The resort offers 52 well-appointed rooms with free wireless Internet access. 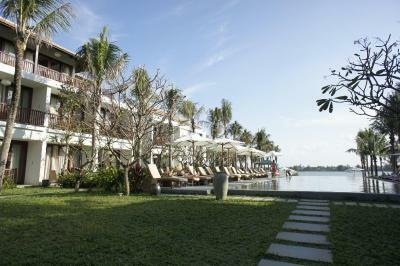 All rooms are elegantly designed to maximize their views over the garden, the swimming pool and the river. 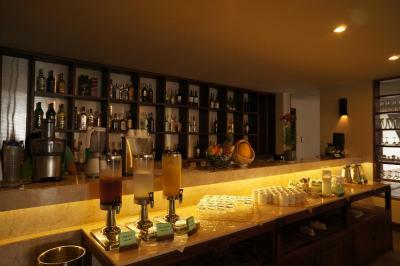 The facilities include an internet corner, a spa & fitness center, a library and a swimming pool that will make your stay comfortable and convenient and meet all the needs of business and leisure travellers. 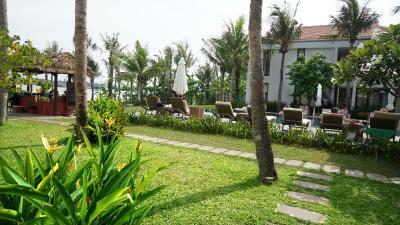 Area Info – This neighborhood is a great choice for travelers interested in ambiance, city walks and old-town exploration – Check location Excellent location – show map Guests loved walking around the neighborhood! 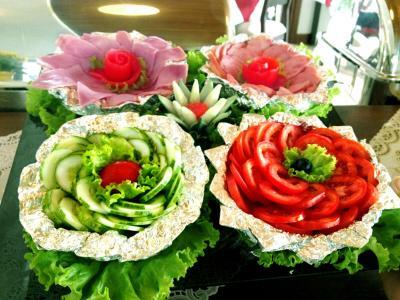 House Rules Vinh Hung Emerald Resort takes special requests – add in the next step! 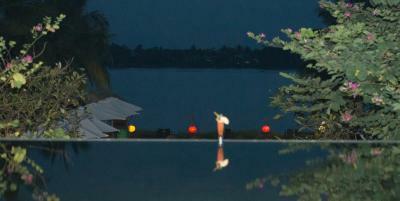 Vinh Hung Emerald Resort accepts these cards and reserves the right to temporarily hold an amount prior to arrival. Room had things missing, one bedside table, no sheer privacy curtains. Have stayed before but this time housekeeping did not have special touches. Great location, relaxing with pool overlooking river but rooms needed updating 4 years ago and still has not been done. The boats going by on the river from about 3:00pm - 5:00pm were noisy. Our room booking was messed up at the start and i was told it was my misunderstanding however i had sent emails to confirm our room type and then they did rectify it for us in the end. They did rectify tge room issue In the end and because there were no twin rooms left we were upgraded which was appreciated. The air con in our room was so loud it stopped us sleeping well. 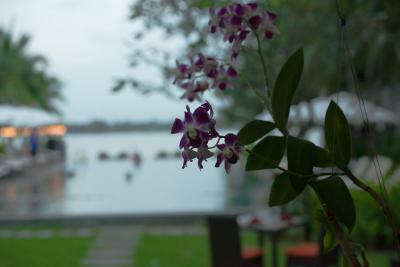 The most beatiful setting, truely stunning views onto the river. 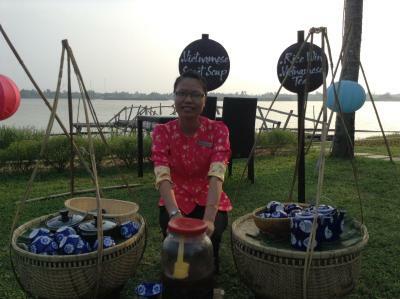 The hotel provided lots of free extras - vietnamese snacks made fresh every afternoon, a free morning boat ride. This made it v good value. The fitness centre could do with some more equipment, including some mats to do floor exercises. The location of this property is excellent - just out of the main town. 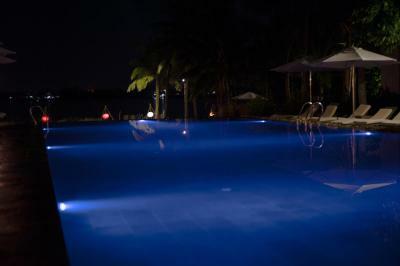 The pool is really nice, with plenty of sun beds to go around. The view onto the garden and the river is also great, and the free food in the afternoon is a nice bonus! everything was perfect. 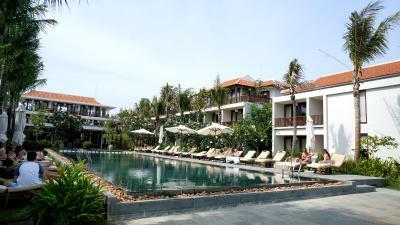 I like amazing swimming pool, the food for the breakfast buffet, and friendly staff. 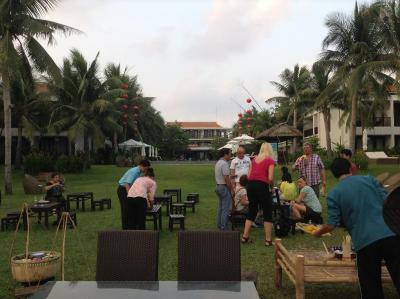 The location of the resort was really convenient for us to go to old town hoian, the night market. I would like to come again with our family. Room could have been a little bigger but really it was fine. 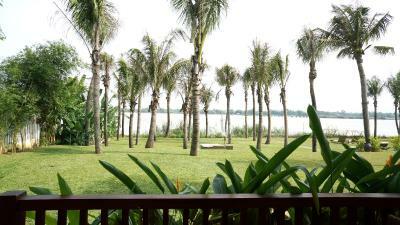 The pool area/garden was lovely and very relaxing, backing onto the river, with great palm trees and plantings. Breakfast buffet was excellent, best one we had. Excellent location, just 3-4 blocks from old town. The staff were helpful although could have been a little more knowledgeable. 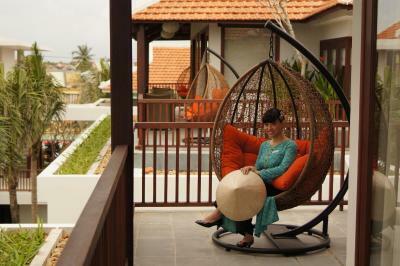 Other than the staff in the Spa, the staff seemed inconvenienced when you ask them basic requests. We would have liked to use the hotel bicycles but weren’t aware they were there till we were leaving. The room was comfortable and the hotel grounds were lovely. Friendliness of the staff. Functionality of the hotel. A good location. Excellent food. Value -for the money. We arrived here on Christmas Day, having been picked up in Da Nang at the train station by a driver arranged by the resort ahead of time. We had requested he show us a couple of Da Nang's famous bridges and let us visit Marble Mountain; this all went smoothly. 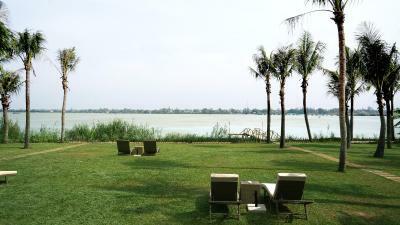 We had been very busy since our arrival in Vietnam and this beautiful place located right on the Thu Bon River was a welcome sight when we arrived, ready for a little chill time. 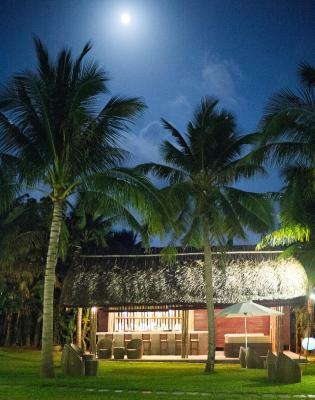 We were warmly greeted and seated in the lobby, where we were given a refreshing drink and wet rag, while a knowledgeable young woman gave us information and offered to book any tours we wished to arrange. We did later book a day tour through them, which was excellent. 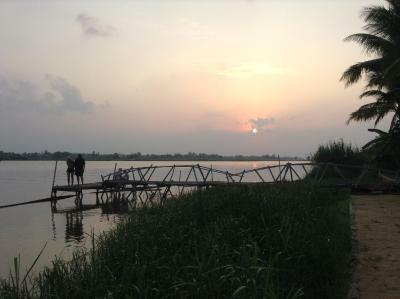 My husband happily settled down by the river, with a gin and tonic from a nearby outdoor bar located on the large lawn. A boat ride one morning on the river is included in the price. We loved our ground floor rooms looking out on the pool, with little patios for drinks before dinner, and just a few steps to the pleasant dining area. 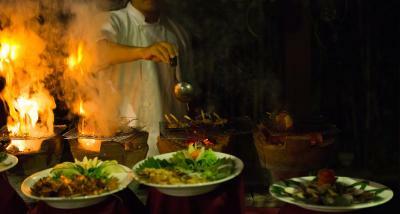 That night we had arranged an offered "Bar b Que at the table" which was an excellent value for $10 each. 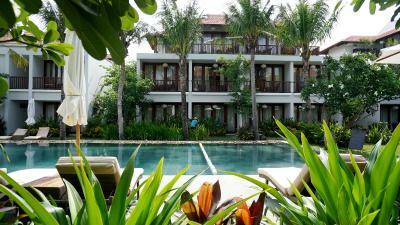 We stayed four nights and all enjoyed the extensive breakfast buffet included in the price. Not only did they have an omelette station and many types of western options, they had an impressive range of Vietnamese options, which my college age sons ate in great quantities. The staff was wonderful and helpful at all times. The rooms were standard size but roomy enough and, even at slightly elevated holiday rates, we considered this a good value stop. 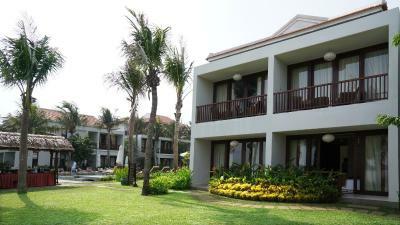 It was our peaceful oasis after days of walking or touring in busy Hoi An, and will be a positive part of our treasured Hoi An memories.